Chandigarh is the place from where the majority of the Himachal Pradesh packages starts. Manali package is one of those packages. Chandigarh to Manali package could also become very economic because of a Himachal registration number taxi with the package on very reasonable prices. One of the best selling and recommended package of Himachal pradesh is Chandigarh Manali tour package. Manali is a most popular destination of Himachal pradesh. The visitors have listened so much about Manali that they comes very curiously to have the views at Manali. The plenty of destinations aroud Manali also attracts tourists to come an see manali. After taking breakfast local sightseeing of Manali “HADIMBA TEMPLE” Built in 1553 with a marvelously crafted four tiered pagoda roof . “CLUB HOUSE” The Club House with its inclusive facilities that contain indoor games like roller skating rink, billiards rooms, a library, a bar and restaurant managed by Himachal Tourism “Tibetan Monastery, Van Vihar, and “VASHIST” Well known for its hot springs and temples dedicated to the sage Vashisth and to Lord Rama. 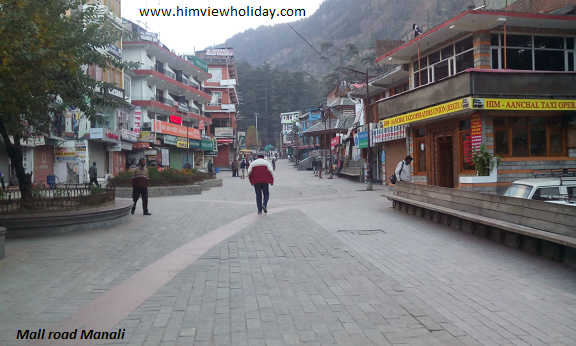 and enjoy the mall road of manali. This is the day for most glorious point of tour that is Manali to snow point (Rohtang Pass) and on the way back from snow point visit beautiful valley of Solang Valley ,Nehru Kund ,Marhi ,Gulaba, Rehalla fall, Bias Kund etc. This long journey by the sides of nature worth loving for visitors and is most popular also. Overnight stay in Hotel. We also provide Kinnaur Tour Package, Shimla Manali Tour Package, Manali Tour Package, Dharamshala tour package and Dalhousie tour package.